In the heart of Orlando’s tourism corridor, International Drive will see significant development in 2015 with the addition of several retail, dining and entertainment venues. I-Drive 360, a new entertainment complex from Merlin Entertainments, will open a trio of new attractions. 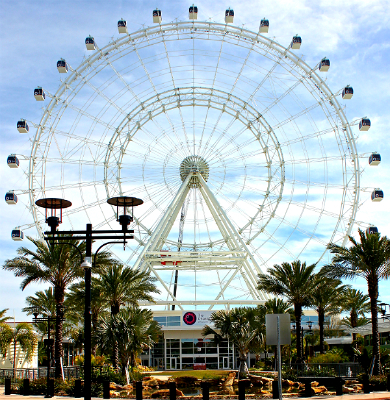 At the heart of the complex,The Orlando Eye is a 400-foot-tall (12.92-meter) observation wheel providing breathtaking views of Central Florida in all directions within fully enclosed, air-conditioned glass capsules. Madame Tussauds, the world’s most famous celebrity wax attraction, offers visitors the ultimate fame experience with its signature red carpet treatment. SEA LIFE Orlando delivers a new wave of underwater adventures with beautiful displays of colorful fish, sharks, jellyfish, sea horses and more, that turn the traditional aquarium observation on its head. The Yardhouse, Tin Roof and more retail, restaurants and entertainment yet to be announced, will add to the experience. Orlando welcomes one of South Beach’s hottest dance clubs with the addition of Mangos Tropical Café. With 55,000 square feet (5,109 square meters) of entertainment space, the Orlando location is a massive restaurant and nightlife destinationoffering high-energy entertainment for a wide variety of tastes. Guests will enjoy Salsa, Bachatta, Reggae and Pop performances with Floribbean Cuisine and tropical cocktails. Escapology Orlando brings a new kind of entertainment to Orlando with its first U.S. location. The attraction challenges guests to be their own heroes in a thrilling game of adventure and mystery. Teams of up to six players are locked in a themed room with just 60 minutes to combine clues, solve puzzles and discover the key to escape. 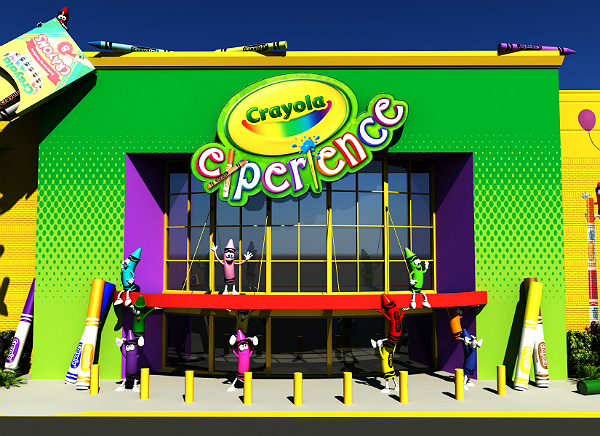 Nearby International Drive, The Florida Mall takes coloring to a new level with the opening of Crayola Experience. The 70,000-square-foot (6,503-square-meter) attraction will offer 25 hands-on activities. The list of dining and entertainment options unique to Orlando continues to grow with the addition of The Whiskey on Sand Lake Road, welcoming lovers of gourmet burgers, craft cocktails and rock ‘n roll fun. With over 100 brands of whiskey for the thirsty connoisseur, the venue will also host live entertainment, from musical guests to head-to-head “food fights,” where local chefs will pit recipe against recipe. Walt Disney World Resort is transforming Downtown Disney into Disney Springs doubling the number of shops, restaurants and other venues. The new area will open in phases starting in 2015 and include, Morimoto Asia, a one-of-a-kind dining experience created by Chef Masaharu Morimoto, of Iron Chef America fame. For the master chef’s first pan-Asian dining experience, Morimoto Asia’s extraordinary, 36-foot (11-meter) tall, two-story layout includes a vast range of areas to explore including open terraces, a grand hall, private rooms, long bar, cocktail lounge, waterside seating and more. The BOATHOUSE is an upscale, waterfront-dining restaurant at Disney Springs that will immerse guests with experiences beyond the cuisine. Guests can listen to live music or take a romantic Captain’s guided tour aboard The Venezia, a beautifully crafted 40-foot (12-meter) wooden Italian Water Taxi featuring champagne toasts and chocolate-covered strawberries. The BOATHOUSE will be showcased in an expansive restaurant with three distinctive bars, one built over the water. Guests will enjoy a gourmet menu served daily until 2 a.m. featuring steaks, chops, fresh seafood and a raw bar. STK Orlando blends two concepts into one—the modern steakhouse and a chic lounge. Unique features include a live DJ, high-energy atmosphere and a sleek environment designed to encourage guests to interact and mingle. STK Orlando boasts the only rooftop dining venue in Disney Springs. LEGOLAND Florida Resort will open a new land called Heartlake City, set to welcome guests this summer. The expansion will include a horse-themed disc coaster called Mia’s Riding Adventure, an interactive show titled ‘Friends to the Rescue’ and new shops inside the Heartlake Mall. SeaWorld Orlando will debut an all-new show, Clyde & Seamore’s Sea Lion High, a hilarious tale, filled with amazing animal behaviors and splashy audience fun. The comedic sea lion duo will be joined by mischievous otters, a 2,300 lb. (1043 kg) walrus and a cast of goofy human characters. 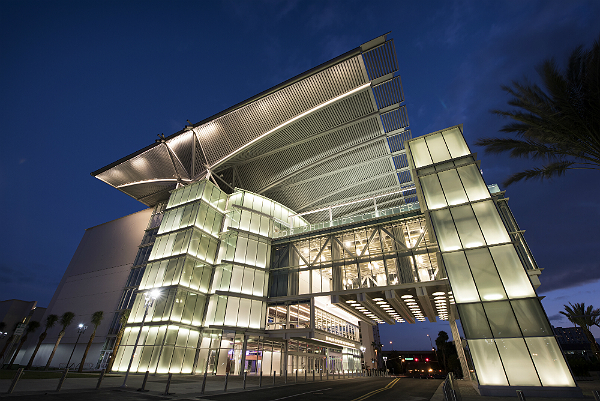 The Phillips Center for the Performing Arts delivers a stellar lineup of 2015 entertainment for its inaugural season: Broadway productions including Disney’s Newsies, Motown the Musical, Pippin and Disney’s Beauty and the Beast; big-name musicians John Mellancamp, Jason Mraz and Idina Menzel; and comedians Jerry Seinfeld, Jay Leno and Bill Maher will complement an ongoing Jazz Roots series and Orlando Ballet season. Orlando City Soccer Club is Major League Soccer’s newest expansion team set to debut in 2015 with global soccer icon, Kaká. The Orlando City Soccer Club will kick-off their first MLS season at the newly rebuilt Orlando Citrus Bowl Stadium. After a $207 million reconstruction, sports fans will enjoy an all-new lower bowl with more legroom, improved broadband and Wi-Fi coverage and expanded concession with healthy and gluten-free options. An influx of restaurants will join new downtown Orlando venues in 2015, including: Two Chefs Seafood, featuring comfort food and seafood from former chefs of Emeril’s Orlando and The Palm Restaurant; and North Quarter Tavern, a chef-driven neighborhood tavern by the team behind downtown Orlando’s power-lunch staple, Citrus Restaurant. 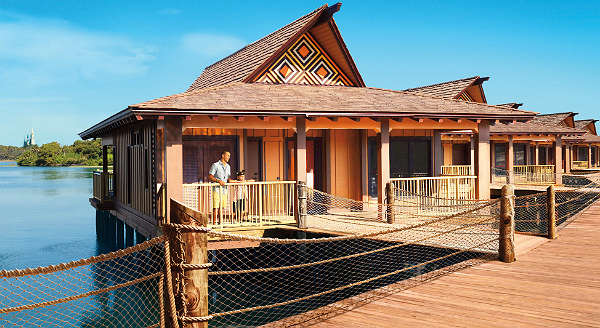 Disney’s Polynesian Villas & Bungalows at Disney’s Polynesian Village Resort will feature 20 Bungalows on Seven Seas Lagoon and 360 Deluxe Studios. The Bungalows will be the first of this type of accommodation at Disney, sleep up to eight guests, and feature a plunge pool with views of fireworks over Magic Kingdom Park. The first phase is scheduled to open in 2015. The Walt Disney World Swan and Dolphin Hotel is getting a $125 million, multi-phased, multi-story upgrade. The JW Marriott Orlando, Grande Lakes will welcome new restaurant concept based on the resort’s 13,000-square-foot (1,208-square-meter) farm. Whisper Creek Farm: The Kitchen, will serve up farm-fresh food and signature craft beer.